When the iPad Air came out, GalleyCat asked what some people were probably wondering: “Will the 1-Pound iPad Air Be Better for Reading Books?” After all, it’s half a pound lighter than the previous iteration. 1.5 lbs may not sound like much, but I hope I’m not the only person who has fallen asleep while reading on a tablet, only to be waken up by the tablet smashing me in the face. Then, it actually does feel rather heavy. The point of this post is to think about what exactly we mean by “better” for reading, and what kinds of reading we have in mind. For example: MacWorld (“Why and when the iPad is the best e-reader“) points out the useful distinction between studious reading (“The iPad facilitates note-taking and skimming—the kind of reading done by college students. But at the end of a book, it’s so much easier to go back, find your notes, and give yourself a Cliff’s Notes overview of what you just read. If you’re in information-processing mode, the iPad is usually the way to go. Making and navigating these sorts of notes on an e-ink Kindle is painful“) on the one hand; leisure reading; and old-fashioned immersive reading, giving the slight overall edge to the iPad mini. “There is no “best” tablet for all kinds of reading in all kinds of situations, which can range from sitting out in the midday sun to reading in bed. Also, people have different responses to different types and sizes of screen, especially when reading for long periods. … The Kindle Paperwhite e-reader is better than tablets at handling a wide range of lighting situations. Tablets are hard or sometimes impossible to read in bright sunlight, and their glossy screens can pick up annoying reflections. Gizmodo weighs in on ereaders (“5 Ways Ereaders Are Still Better Than Tablets“). Yeah, the article is over a year old, but I think the first three reasons are legitimate, and it certainly seems as if ereaders can get away with a longer product lifecycle than a tablet (iPad 2? Are you kidding? That’s so 2011). Speaking of e-reading devices, CNET’s “Best e-book readers” is a useful primer. 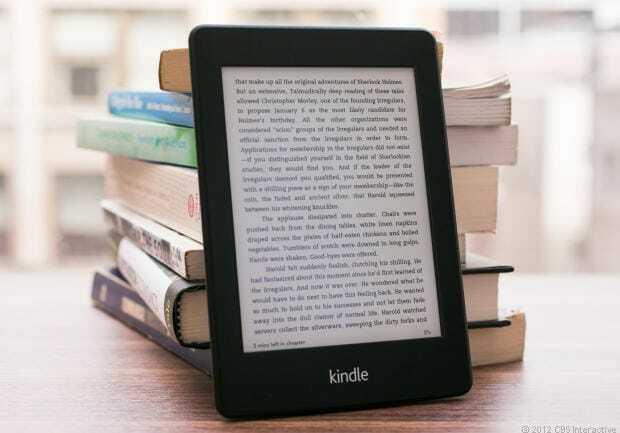 Having had experience with all of them, I would have to agree with the Kindle Paperwhite as the best pure e-reading device, and the Kobo Glo does present a legitimately interesting Kindle/Nook alternative.